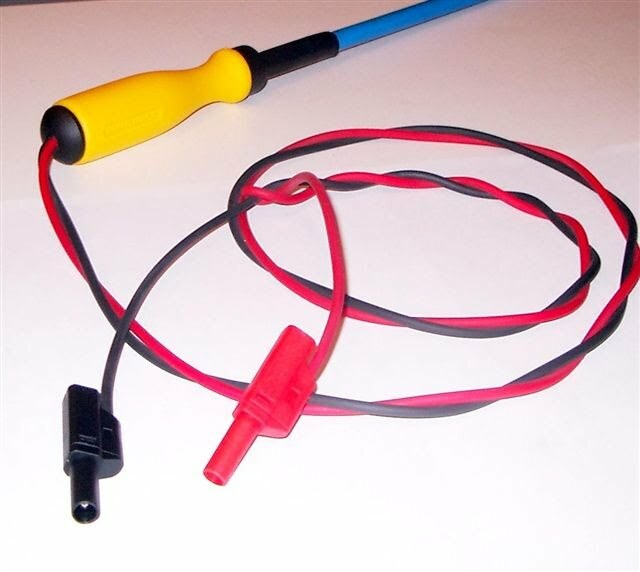 The Wyzeprobe coil on plug ignition probe is the fastest way to test secondary ignition systems and engine integrity. Coil-on-plug ignition systems are rapidly becoming the choice of most vehicle manufacturers. Until now testing them has been very time consuming. To test a Ford Triton for example can take one hour or more. With the Wyzeprobe testing of all eight cylinders takes less than ten minutes. This cop probe will find those intermittent misfires that the OBD2 system does not. 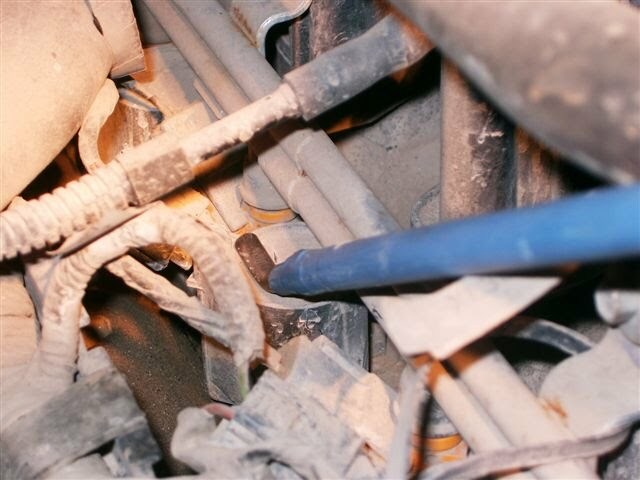 This is the probe in use on a Ford Triton engine. To obtain primary ignition patterns on the ford truck engines takes about one hour. With the Wyzeprobe you can do secondary patterns of all eight cylinders in under 10 minutes.Without disconnecting or disturbing anything on the truck. Here is what a good pattern looks like. Here is the same cylinder with the fuel injector unplugged at idle no load. Here is a picture of what you can expect to see when using the Snap-on Vantage. 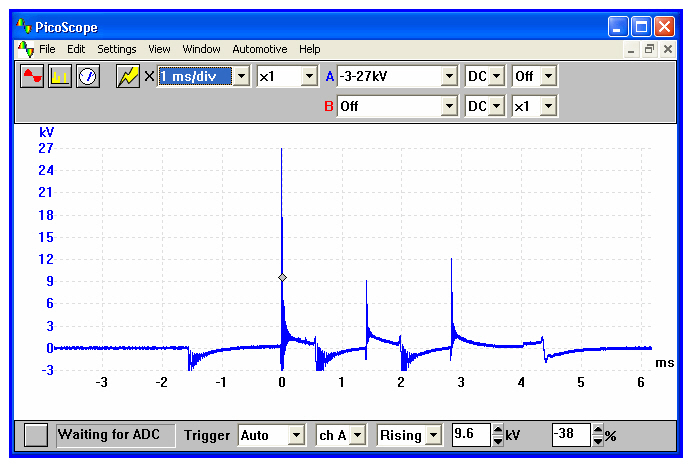 Notice that the vantage does not show the voltage spikes, but the rest of the pattern is very good. The important part of any ignition pattern is the burn line, and the vantage shows this very well. 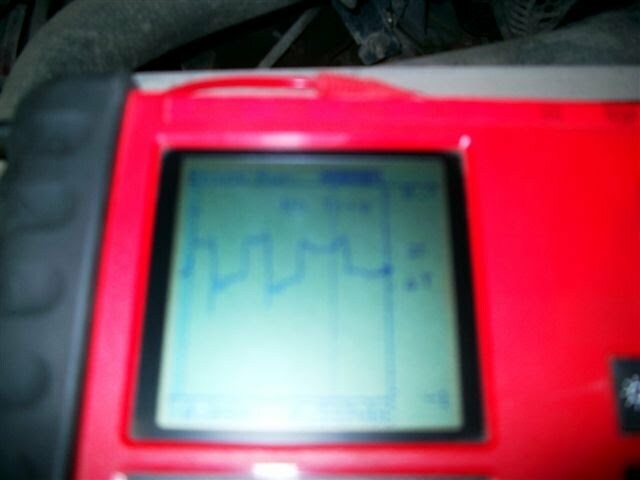 diagnosing misfires on ford coil on plug systems has been very difficult untill now.The obd2 system takes a long time to set a misfire code,most times an intermitant miss will not set any codes and mode 6 data is of no help.With the cop probe you will be able to identify the missing cylinder quickly.And by analyzing the slope/height/time and turbulence of the burn line help identify why.